Most of us have either sent or received a group text. Usually the reason is to get information to several people at once. The problem with a group text is that they usually start a series of group texts that, at some point will annoy at least one of the participants to the point that they ask that the group text move to another group that excludes them. Often this is because that participant is at work, or otherwise engaged, and the constant back and forth of a group text is interfering with whatever they are doing. While I understand the problems that group texts can cause, I have to say that such is not always the case. 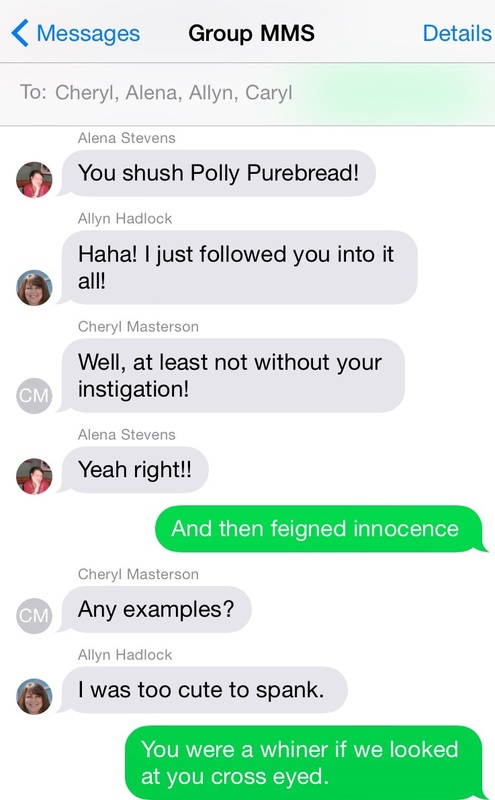 In recent months, my sisters and I have carried on a series of group texts, that we all agree have been very fun. 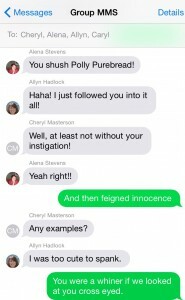 The texts might start as a way of passing information to the whole group, but before long, someone says something funny…usually teasing or picking on one of the other sisters, and the game is on. 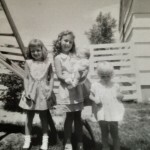 It’s all in good natured fun, and nobody gets upset, because we all know it’s just good natured fun, but then, that is the kind of relationship my sisters and I have. It is a blessing to be sure. The texting often turns to teasing, as I said, and it is logical progression in our conversation, because after all, we have known each other all of our lives, and we have a lot of ammunition on each other. Good and bad ammunition. Nevertheless, our text play is never about seriously bad ammunition. We would rather tease about the goofy things we did as kids…with a little bit of “how did you manage to stay out of trouble, when I couldn’t” mixed in. 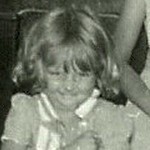 Allyn Hadlock was the baby, and somehow never got into trouble…but then we all agree that she never did anything to get into trouble either…hence the Polly Purebred comment. Alena Stevens was the curiously mischievous one, and always seemed to be mixing up some concoction designed to make a mess. The rest of us, Cheryl Masterson, Caryl Reed, and I fell somewhere in the middle, but I was probably more mischievous than the others…or at the very least, more sassy!! I know that many people get upset with group texts, and I understand that, but my sisters and I always look forward to them. We have laughed and reminisced through all these, and it has been not only healing, but I think if it is possible, we are even closer to each other than we were before, and for sisters who have always been close, that’s really saying something. I know that many people would still say that group texts are annoying, and to them I would just have to say that maybe they are texting the wrong crowd. Group texting with my sisters is a new adventure every single time we do it. I know that many people took their film to get it developed right after finishing the roll, and my parents intended to do that too, but like me, life sometimes got in the way for them, and some things didn’t get done. With five daughters, I can see how that happened. In fact, I only had two daughters, and I still have some film that has never been developed. It is a sad truth, that I hate to admit…but truth it is, nevertheless. My best laid plans, somehow always seemed to get mixed up. I was glad when they came out with the Polaroid camera, because it developed the film instantly. My pictures finally had a chance of being seen by my family. It was a great improvement for me and, I’m sure for many other people too. Be that as it may, sometimes there are in this world, hidden treasures, that you come across when you least expect it. That is what has happened for my sisters and me. The hidden treasures I am talking about, are not in the form of silver or gold, but rather in pictures. 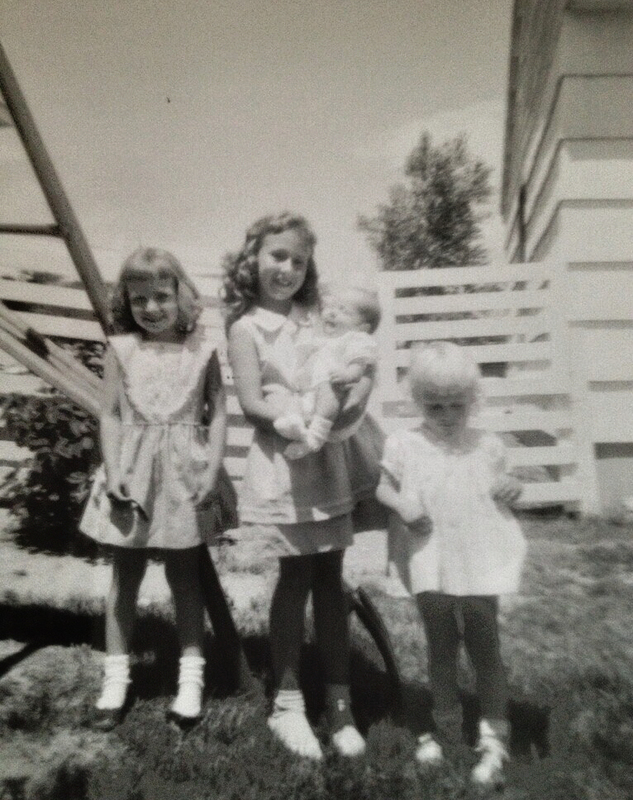 As we have gone through our parents things following our mother’s passing, we have come across many pictures. We have reminisced, laughed, and yes, cried too, as we have looked at these great treasures from our past. It has been a healing time, but there was also a treasure that was so hidden, that it had never been seen by human eyes. We came across roll after roll of undeveloped film…some of it almost sixty years old. When we looked at the rolls of film, we really expected that there would be nothing we could do to save them, and there may indeed be some that are lost forever, but we have been amazed at how many are fine, and in reality they are of really good quality. 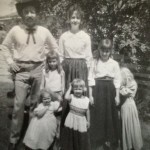 We have been having a wonderful time looking over just the few that our sister, Alena Stevens has forwarded to us, until we can get together to see them all. It is such a wonderful gift, to be given a part of our childhood that while we may remember it, we have never seen it in pictures. It’s a trip down Memory Lane, except that many of the “memories” are completely new to us…previously unseen memories. How rare it is to be given such a gift…such a treasure. I suppose that in retrospect, it might have been better to have developed the pictures before, so our parents could have seen them too. Nevertheless, that did not happen, and in this way, it is like a special little present that our parents left us. It is like a secret plan that they had, to leave us something that they knew would make us happy after they were gone, and believe me, we know just how amazing and special it is. And the really good news is that there are more pictures to come. I just hope that the rest of them turn out just as good as these did, so that we will have lots more hidden treasures left to us by our parents in the future. The gift that keeps on giving…forever. 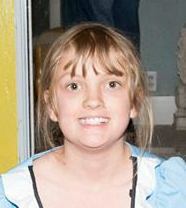 For a girl, turning twelve means that she is stepping into those teen and pre-teen years. For most of us, those years are tumultuous at best. We can’t decide if we like ourselves or hate ourselves. One minute we are sure that we must be the ugliest girl ever, and the next minute we look in the mirror, and there stands a girl who might just have some pretty features, after all. 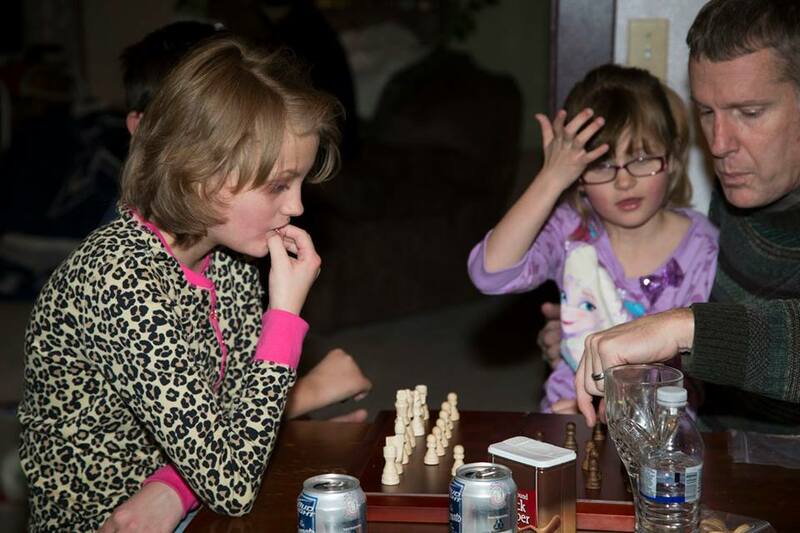 While this rite of passage is normal for girls of this age, it is not fun, so while I’m excited for the future of my grandniece, Raelynn Masterson, I also know that the road ahead will likely be a bit bumpy. 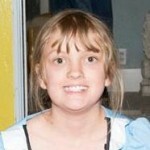 Nevertheless, Raelynn has an advantage over me, in that she is a very pretty girl. Hmmm…maybe I haven’t moved past that stage…or maybe we never really do. Of course, looks are not the only things on Raelynn’s mind. She is a resourceful girl. She is interested in how things work, and in making things better in her world. I suppose that is why she decided to run for class secretary at school last year. She wanted to be able to affect changes in areas where they were needed. She is a thinker. She sees a problem, and thinks things through to come up with the best solution. Those are the kinds of people we need in politics…honest, concerned, and logical. Maybe we need to have her run for president of the United States. She would do a far better job that our current president, if you ask me. Still, no matter how old Raelynn gets, she will always be her daddy’s girl. She and my nephew, Rob Masterson have such a close relationship. She is close with her mom, Dustie Masterson too, but for a lot of girls, being a Daddy’s Girl is simply the way it is. Raelynn also loves her siblings. She looks up to her older sister, Christina Masterson, and is a great role model for her younger siblings, Matthew and Audrianna Masterson. She is a great big sister, and she makes life fun for all who know her. 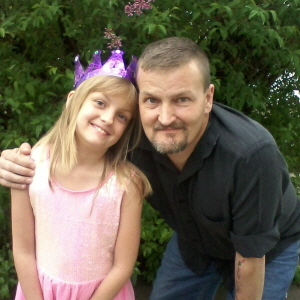 Today is Raelynn’s 12th birthday. Happy birthday Raelynn!! Have a great day!! We love you!! I don’t always think of myself as living in a historic area, although I should, because during the days of the Old West, at least, much history happened here. In fact, on this day, July 28, 1865, twenty year old Caspar Collins…a gutsy lieutenant from Dogwood Knob and Hillsboro, Ohio led 20 men to fight a battle against 1,000 to 3,000 Indians, just outside Platte Bridge Station, which was near Casper, Wyoming, where I live. The battle had been coming, and everyone knew it. The Lakota Sioux and the Cheyenne Indians had been attacking the United States Army for a couple of months now. 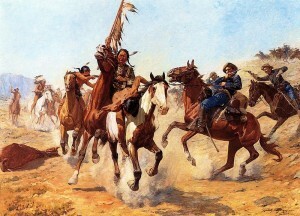 The Indians had raided outposts and stagecoach stations over a wide area of Wyoming. On this day back in 1865, the Indians assembled their warriors and descended on Platte Bridge Station. The Platte River bridge was guarded by 120 men near the bridge, and another 28 soldiers guarded a wagon train a few miles away. The Indians killed 29 soldiers, while only losing 8 warriors in the raid. In reality, the Army was unprepared for this attack or the ones leading up to it. Colonel Thomas Moonlight had led a 500 Cavalry force out to seek out and punish the raiding Indians on May 26, 1865. 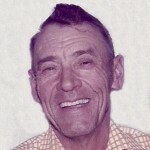 He hung to minor Oglala leaders…Two Face and Black Foot. He left them hanging for days. I’m sure this infuriated the Indians. On June 3, the army began to worry that the 1,500 Lakota, mostly Brulé, and Arapaho who were living near Fort Laramie, might become hostile. So they decided to move them about 300 miles east to Fort Kearny in Nebraska. The Indians protested that Fort Kearny was in the territory of their traditional enemies, the Pawnee. The next day, near present day Morrill, Nebraska, most of the Indians refused to accompany the soldiers and began crossing the North Platte River, assisted by Crazy Horse and a band of Oglalas on the other side. Attempting to stop them, Captain William D. Fouts and four soldiers were killed. 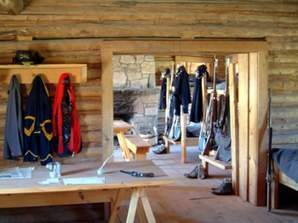 Informed of the disaster, Moonlight departed Fort Laramie with 234 cavalry to pursue the Indians. He traveled so fast that many of his men had to turn back because their horses were spent. On June 17, near present day Harrison, Nebraska, the Lakota raided his horse herd and relieved him of most of his remaining horses. Moonlight and his men had to walk 60 miles back to Fort Laramie. He was severely criticized by his soldiers for being drunk and not setting a guard on his horses. On July 7, Moonlight was relieved of his command and mustered out of the army. The Platte River bridge was a key crossing point of the North Platte River for wagon trains of emigrants traveling the Oregon and Bozeman Trails. The Indians wanted to stop traffic on the Bozeman Trail which led through the heart of their hunting territory. The bridge had been constructed in 1859 and was almost 1,000 feet long and 17 feet wide. On July 20, Indian leaders made their final decision to launch an attack against the bridge. The warriors gathered and set out southward from the mouth of Crazy Woman Creek on the Powder River. The Platte River Bridge was 115 miles south. The army was the largest they had ever seen. It was estimated to number 3,000 men. U.S. army accounts state that the wagons were forced into a hollow where they held out for four hours, using fire from Spencer rifles to repel assaults until a large group closed on foot and overwhelmed the defenders, killing all. Then came the attack of Platte Bridge Station. The battle that left 29 men dead…including Lieutenant Caspar Collins, and at least 10 more men seriously injured. The battles before had involved maybe 1000 Indians. This battle was different…this one involved 3000. They were seriously outnumbered, but Lieutenant Caspar Collins went out to fight anyway. The day after the battle, the Indian army broke up into small groups and dispersed. A few remained near the Oregon Trail for raiding but most returned to their villages in the Powder River country for their summer buffalo hunt. Indians lacked the resources to keep an army in the field for an extended period of time. The Army officially renamed Platte Bridge Station to Fort Caspar to honor Collins, using his given name to differentiate the post from an existing fort in Colorado named after Collins’ father. Communications have come a long way over the years. Still, most of us give little thought to how difficult it used to be in the not so distant past. Of course, letters were originally the only form of distant communications, and I suppose that some people, like my Uncle Bill, still think that is the best form of communication there ever was. These days, I would have to agree with them in many ways, but there are times when a letter is not quick enough. 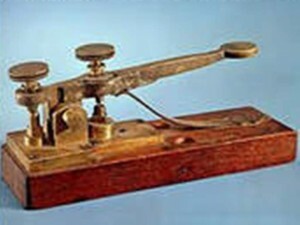 When the telegraph was invented in the 1830s and 1840s, it revolutionized communication. No longer did it take months to get an important message to family members. Prior to that time, a loved on might be dead for months before the family found out. I’m sure that in most cases, people still relied on letters for most things, so receiving an unexpected telegraph was probably a little scary. While telegraph made communications easier in our own country, trying to get an important message to someone from the homeland…not so much. Not until 1866, that is. 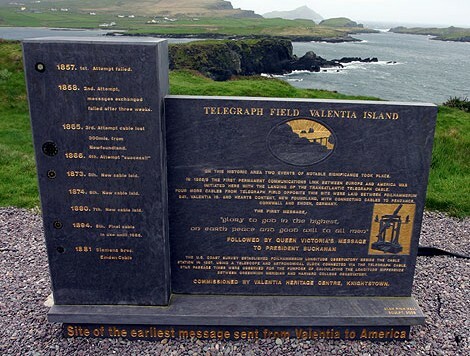 Early attempts were made to lay Transatlantic cable for the telegraph in the late 1850s, but those failed, and the confidence of the people was lost, taking with it investors willing to fork out the funds to undertake the next attempt. The first project began in 1854 and was completed in 1858. The cable functioned for only three weeks, but it was the first such project to yield practical results, so progress was being made. The first official telegram to pass between two continents was a letter of congratulation from Queen Victoria of the United Kingdom to the President of the United States James Buchanan on August 16, 1858. Signal quality quickly declined, slowing transmission to an almost unusable speed. The cable was destroyed the following month when Wildman Whitehouse applied excessive voltage to it while trying to achieve faster operation. The cable’s rapid failure undermined public and investor confidence and delayed efforts to restore a connection. A second attempt was undertaken in 1865 with much better materials, and following some setbacks, a connection was completed and put into service on July 28, 1866. This cable proved more durable. At that point, telegraph communications with the homeland of our nation’s immigrants became possible. While I’m sure it wasn’t inexpensive to send a telegraph…by the standards of the day, it did give the ability to keep in touch with family back home, and really, that was what it was all about. A letter from New York to England took ten days…provided nothing happened to the ship it set sail on. And it still had to get from out west, if that was where you lived to the east coast. I don’t think a month was far off on this. But then how good was the mail service in Europe? It could still easily take another several weeks for the letter to arrive. Primitive communications for sure. Of course, very few people use telegraph these days. I believe it can still be used to wire money, but electronic transfers are much faster, and often free, so why use it? That is the funny thing about inventions. They are only good until the next big thing that is invented makes the old ones obsolete. That is what things like the cell phone, the internet, and electronic transfers have done to things like letter writing and telegraph. When a little girl from a big family has brothers-in-law before she is even in elementary school, she has a tendency to look up to those brothers-in-law. That’s how it was for my Aunt Sandy Pattan. She was the youngest of nine children, and to her, the brothers-in-law were like her own brothers. 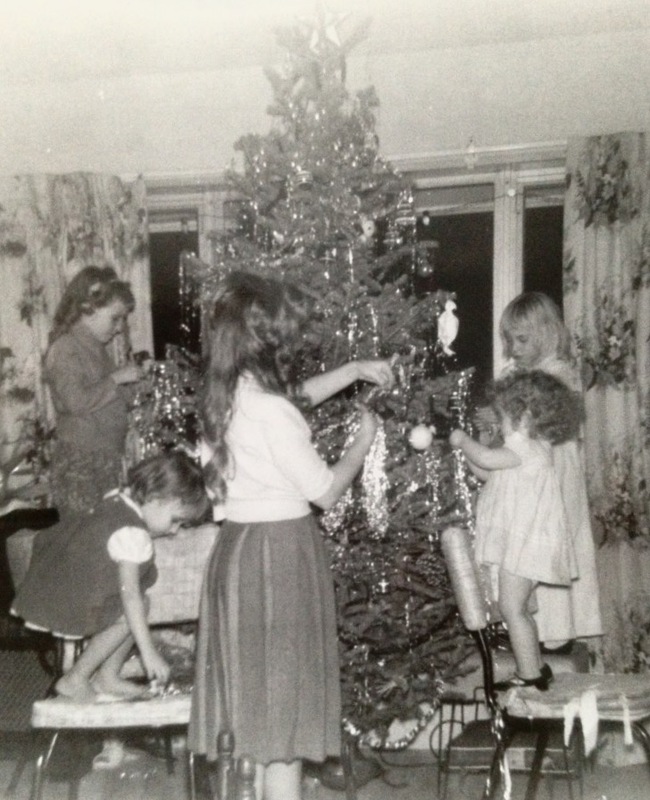 As a little girl, and knowing my uncles, I expect that she was often teased…good naturedly, of course, but she also watched the things that her brothers-in-law, and her brothers too, could do. They were, after all, grown ups, and therefore, considered cool. 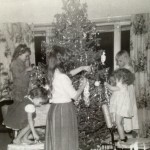 I’m sure that, if asked, Aunt Sandy could tell us all stories about the things she remembers about each of her brothers-in-law, sister-in-law, as well as her older siblings. In this case, however, it was me talking to Aunt Sandy when she told me about something that my dad could do, that while not something profound, was something that she, as a little girl, thought was very cool. The funny thing about it is that I don’t remember my dad doing it. Maybe it was just a passing trick, but it was one that Aunt Sandy has remembered all these years. Or maybe, my sisters remember it, even if I don’t. A few weeks ago, when Aunt Sandy and I were completing a meeting to discuss the family stories that she remembered…a meeting that was meant to be about an hour or two, but turned into five hours, because we completely lost track of time…when she told me that one memory she had of my dad from when she was a little girl. 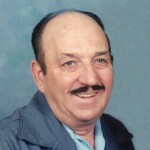 It was a memory of my dad, Allen Spencer twirling a silver dollar through his fingers. Such a small thing, but something I could see my dad doing something like that. 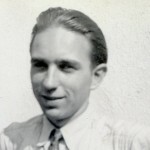 It would be a trick that quite possibly he and his brother, my Uncle Bill Spencer did. I’m sure they practiced it for hours to see who could do it better. I’m sure that soon it became second nature to him, and he probably did it without even thinking about it. 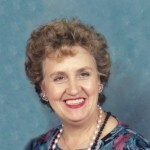 Nevertheless, to my Aunt Sandy, it was something new and very cool. Cool enough, in fact that when she thinks of my dad, her brother-in-law, she can still see that trick clearly in her mind. I can relate to that. 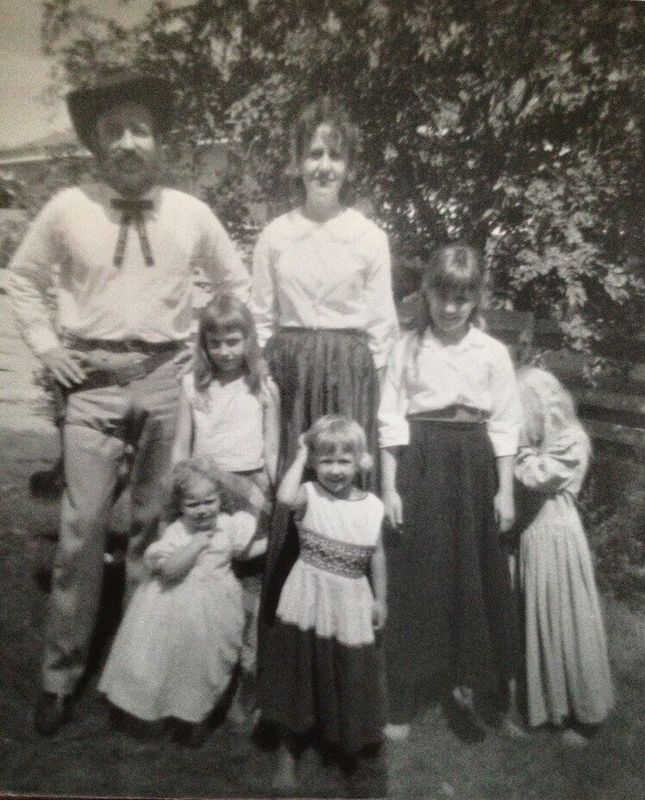 My sisters and I, as well as the grandchildren and great grandchildren, all have memories of some of the funny and cool things Dad used to do. I’m sure I’m not alone when I say that, in thinking about things Dad used to do, I can picture them so clearly in my mind that it is as if he is right there in the room. Things like the whisker rub, the kitchen door game, and pretend boxing matches in the hallway, come to my mind instantly. If I think longer, more and more memories of Dad come to my mind. It is the funny, happy memories that will mean the most to us in our latter days. They are the cherished memories in the days after our loved one’s passing. Years ago, many people thought that anyone who was trying to invent an airplane was pretty much insane…saying, that “if man were meant to fly, God would have given him wings” as their reasoning. I’m sure that those same people reiterated their thoughts on the matter, with each new plane crash…basically jumping on the chance to say, “I told you so!” Of course, these days, no one thinks that way, whether they like to fly or not. I guess a fear of flying and the idea that it is a foolish pipe dream aren’t the same things at all. Still, while man has proven over the years that flight is possible, and in fact mostly safe, there are some airplane crashes that that will forever be embedded in our minds. For me, of course, the one that I can picture in my mind at the drop of a hat, is Flight 232 that crashed in Sioux City, Iowa. This was the crash that took the life of my Great Aunt Gladys Pattan Byer Cooper. That pilot was so close to landing that plane safely, and would have, in fact, if the plane hadn’t put in one last effort to turn over due to a major loss of hydraulics. 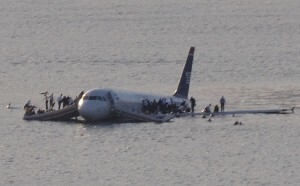 The resulting crash made me wonder how anyone survived…much less the 185 out of 296 people on board. The only reason they survived was the skill of the pilot…and much prayer. Another plane crash that has stayed in my memory was the crash of the Concorde, that occurred on this day, July 25, 2000. The Concord was a beautiful plane, and by far the most luxurious one of its time. I’m not sure there are even any planes that are more luxurious today…although the Boeing 787 might be. Dubbed the Dreamliner, it gives the indication that it might out class the Concorde. Nevertheless, in its day, the Concorde was the end all, beat all of airplanes. The thing that always amazes me is that sometimes it is the tiniest of things that ends up bringing down a plane. 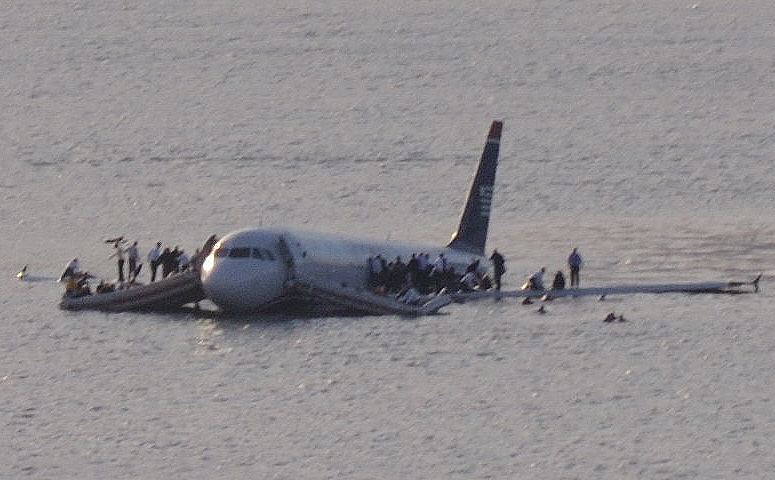 Much like the bird strike that brought down US Airways Flight 1549 on the Hudson River. The Concorde was downed be a small piece of metal on the runway…that had fallen off of another plane. Air France Flight 4590 left DE Gaulle Airport for New York carrying nine crew members and 96 German tourists who were planning to take a cruise to Ecuador. That piece of metal shredded the tire that ran over it, throwing pieces of the tire into one of the engines and fuel tanks, causing a disabling fire. The pilot had no idea what was about to happen, but just moments later the plane plunged to the ground near a hotel in Gonesse, France. A huge fireball erupted and all 105 people on the plane were killed immediately. The Concorde, the world’s fastest commercial jet, had enjoyed an exemplary safety record up to that point, with no crashes in the plane’s 31 year history. 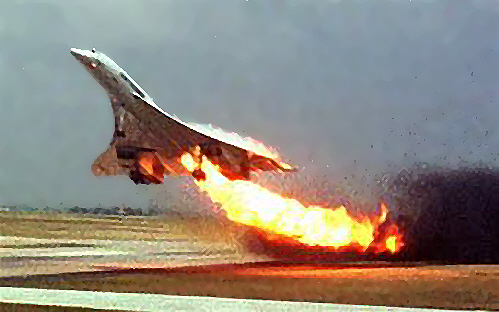 That crash, however, marked the beginning of the end for the Concorde. The last flight of the Concorde was on October 24, 2003. What was supposed to mark the first of a future of supersonic, fast paced air travel, was brought to a disappointing halt. Air travel has taken on a much slower pace since that time. I am a bit of a forensics buff. Not that I perform the tests that forensic scientists do, I just like watching shows that tell about those tests, and then I try to guess who did the crime. I don’t suppose that I would be the kind of person an innocent man would want to be performing the tests that were going to keep him out…or land him in prison. For an innocent man or woman, being accused of that crime is the beginning of a nightmare. No one wants to believe him, because everybody claims to be innocent…right? Unfortunately, many people accused of crimes are innocent, and in days gone by…before things like DNA matching and fingerprints, the only evidence available was eye witnesses and circumstantial evidence, both of which were far from infallible. Eye witnesses are notoriously unreliable, and it isn’t really their fault, because they were, after all, shook up!! After spending years in prison, at least fifty people have been exonerated since the dawning of DNA testing. 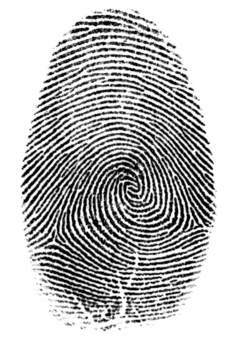 it’s probably hard to say how many have been proven innocent based of fingerprint evidence. And I have to wonder how many have died innocently in prison because they were convicted long before the tests that might have set them free. Fingerprint identification has been used for over a hundred years now, and at one time was considered the best way to prove innocence or guilt. Of course, they aren’t infallible in that respect, because while no two fingerprints have been found to be alike in all those years, it is entirely possible for someone to be somewhere, but not at the time of a crime. If all you have to go on is fingerprints, that can be incriminating…even for an innocent person. Unfortunately, it was not foolproof. In April of 1953, Watson and Crick published a model of the DNA helix in a one page letter to ‘Nature’. It began with the now famous under statement: “We wish to suggest a structure for the salt of Deoxyribose Nucleic Acid (D.N.A.). 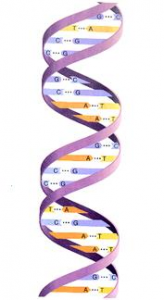 This structure has novel features which are of considerable biological interest.” It would take until 1984 before Alec Jefferies and his colleagues would develop genetic fingerprinting, which is using DNA to identify individuals. Finally in 1987 in the United Kingdom, forensic investigators used DNA testing to help solve the ‘Black Pad’ murders and to identify the killer as Colin Pitchfork, who later confessed to the crimes. This was the first case in which DNA evidence is used to determine the identity of a murderer and it also involved a mass screen. It also marks the first case in which a prime suspect was exonerated due to DNA evidence. In 1994 DNA evidence was used in Ireland, and by the 1995 trial of OJ Simpson, it was finally used in America. It seems very strange to me to think that DNA evidence has only been used in the United States for twenty years. To me, it seems like it has been around for a really long time, but that really isn’t so. Nevertheless, on June 28, 1993 DNA evidence cleared Kirk Bloodsworth, an ex-Marine, of a murder for which he had been convicted on this day, July 24, 1984. Sadly, he served nine years before his case was reviewed and he was finally set free. 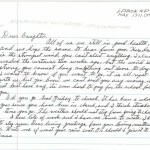 My Uncle Bill Spencer always loved the handwritten letters that were written by his family. It didn’t matter to him if it was nieces or nephews, his siblings, parents, grandparents, aunts, uncles or cousins. He saw in every word, great value…as if it were pure gold. The more I look at old letters, and search for information about my family online, the more I realize that Uncle Bill was really on to something. 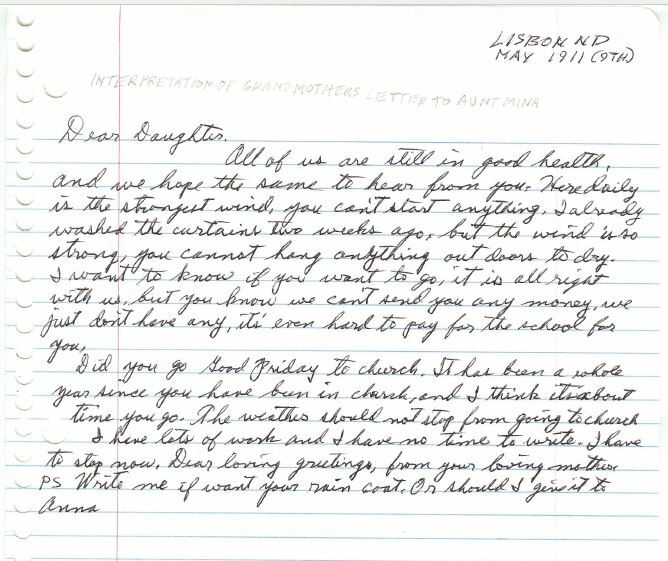 Seeing the handwriting of our ancestors…be it on a letter, draft card, or photograph always gets me excited. 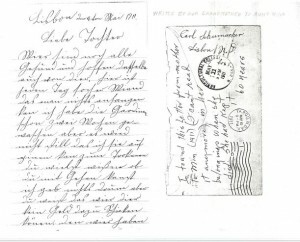 To think that my ancestor actually signed that card, or wrote that letter is very cool. I especially love finding things that were written in some other language. When my grandmother Anna Schumacher Spencer and her brother Albert Schumacher were in school, the teacher made fun of their language. When they came home and told their mother, my great grandmother, Henriette Hensel Schumacher, she decided that German would no longer be spoken in their home. I don’t know if she ever changed her mind on that issue, but if German was spoken, it was not often. 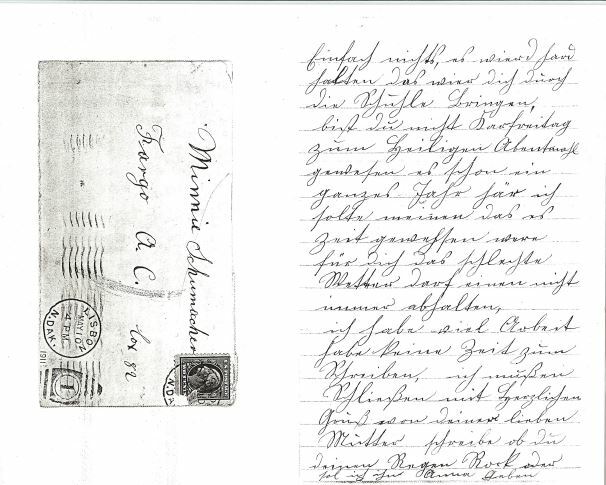 So to find a letter written in German by my Great Grandmother Henriette Schumacher to her daughter, my Aunt Min Schumacher Spare is especially exciting. I wish that I understood then, what I understand now about the handwriting of my ancestors. I am so excited about to find these great letters from people I have come to feel like I know well. 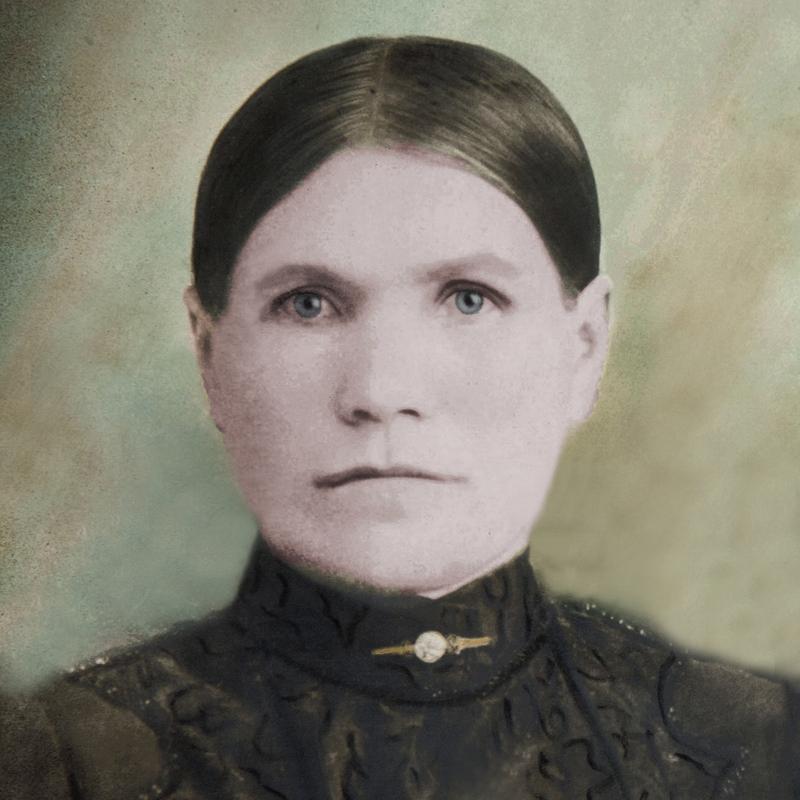 When I look at the handwriting of my great grandmother, I see a woman who, even in the face of much pain and adversity, prided herself on her handwriting. 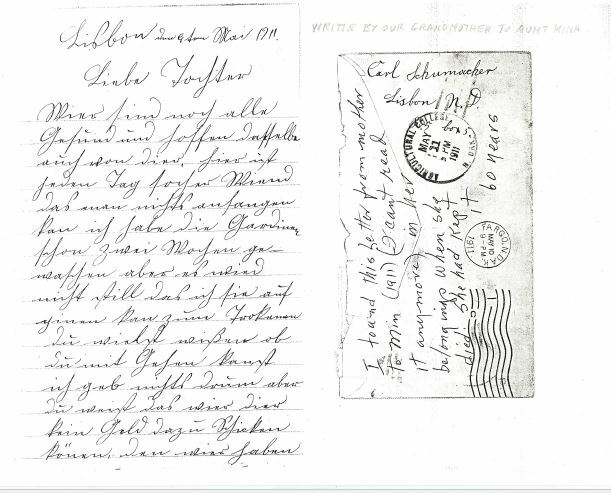 Of course, life happens, and we can’t always have the same control of our handwriting that we once might have, but at the time of this letter in May of 1911, her handwriting was pretty and delicate. 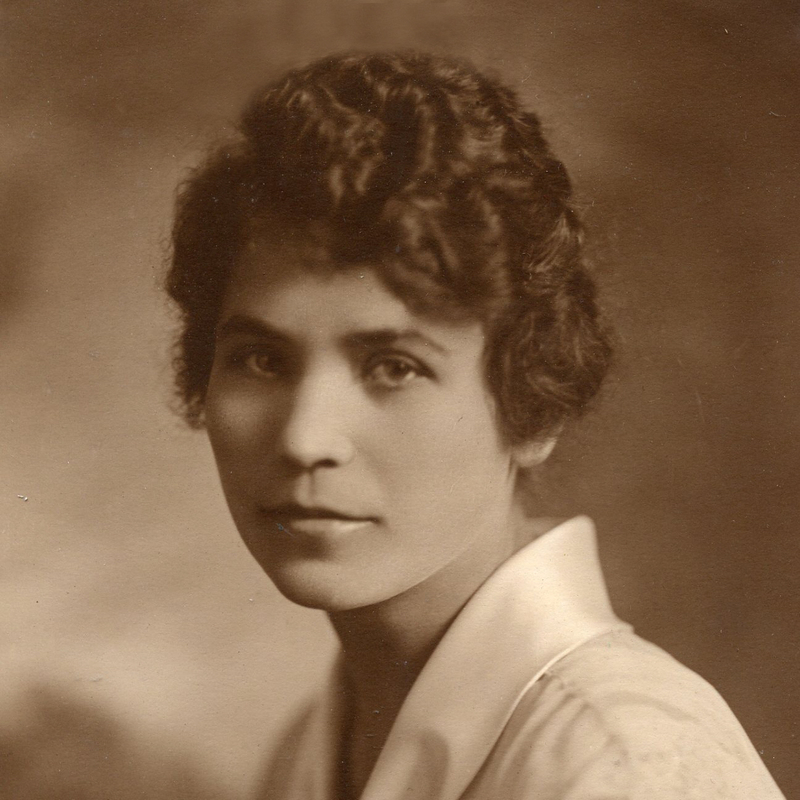 My great grandmother suffered much with Rheumatoid Arthritis, and yet, I believe that she loved beautiful things, and that she was a delicate and beautiful woman. I know that she was so proud of her family. She would like to help them all she could, but with a large family, and tough times, it was not much. 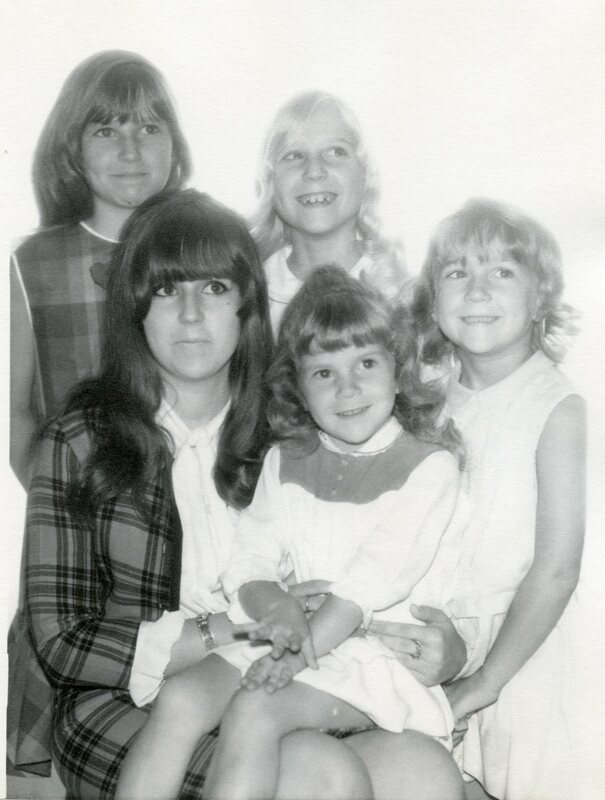 Nevertheless, it was her hope that all of her children would succeed in anything they chose to do…after all, America was the land of opportunity. 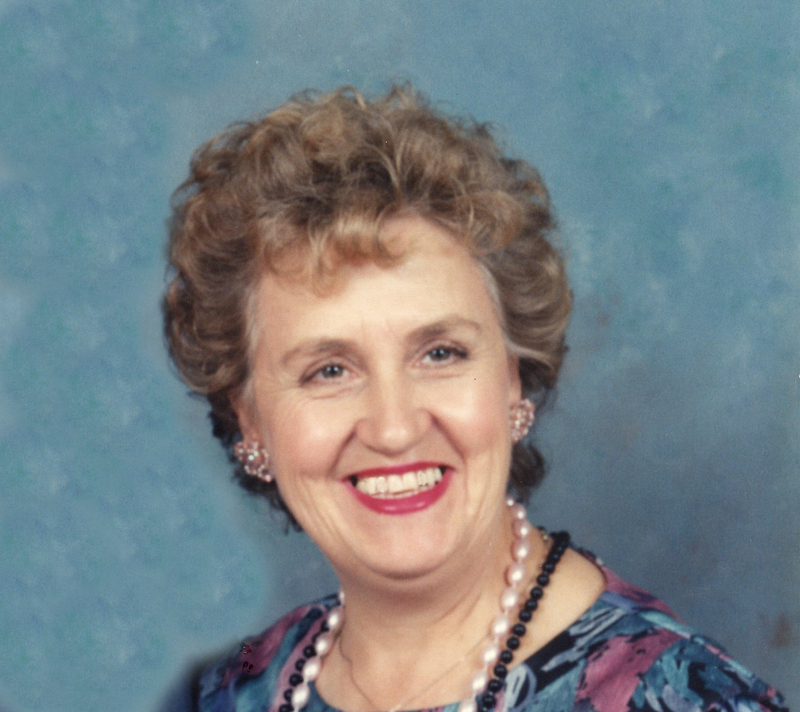 Mina Schumacher always wanted to be a teacher, but in the end, she became a bookkeeper. I think she was probably ok with that, but maybe always felt a bit of regret. Nevertheless, her hanwriting to me shows strong woman who loved the pretty and delicate things in life. 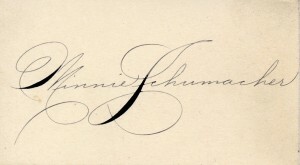 She often signed things using beautiful script or calligraphy. It was her own sense of style. Many people never give any thought to the impression their signature will make on another person, but she did, and I loved it since the first time I saw it in my dad’s photo album. It was just as beautiful and graceful as she was. She knew that the handwriting of our ancestors is important. As each new month goes by since my mother, Collene Spencer’s passing, I find myself experiencing different feelings…different stages of grief, I suppose. 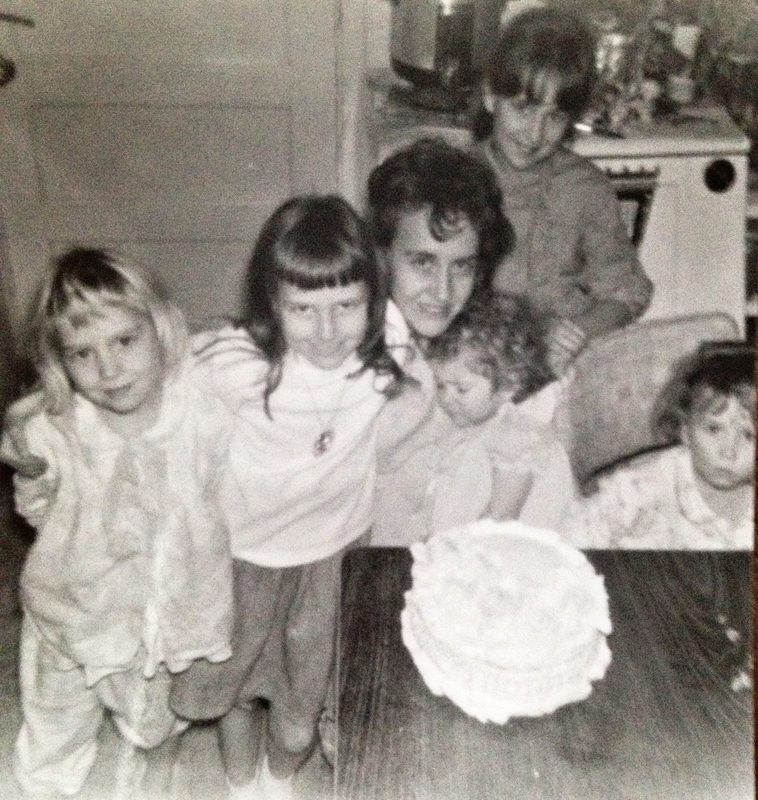 Each day brings with it thoughts of Mom, now with Dad and other family members who have gone before us. They aren’t sad thoughts…exactly, because I know she is not sad, but they are lonely thoughts sometimes, because I miss her. I wish I could call her on the phone, or stop by her house to tell her something new I have discovered, or to ask her a question about something that only she would know the answer to. The last time that happened, a thought came to me that like stages of grief, sadness, or being blue, has many shades. The first days after her passing, or the passing of my dad, Allen Spencer, or my father-in-law, Walt Schulenberg, were dark days emotionally. I would be hard pressed to find a shade of blue that is dark enough, without having it turn black. Those days were so very painful. Every time I looked at the things I have of theirs, I felt lonely. I would much rather have them here than to have their things. My shades of blue must be worked through on my own. These are not steps anyone can take for me. The days when I think of them in Heaven, celebrating with God, are definitely powder blue days. It is a blue so pale that I can almost see right into Heaven. It’s a blue that is so close to white that it’s almost not blue either. All that remains of the blue is just a hint. The other days all fall into some other shade of blue, as I work through my feelings, and sometimes I slip from lighter blue to darker blue, a relapse I suppose. I know that whether people think of these days as shades of blue or not, they have the feelings I have, nevertheless. We all experience shades of blue in life. Whether it’s the loss of a loved one, the end of a friendship, the loss of a pet or job, a child moving away or going to college…the reasons are pretty endless. Nevertheless, as we walk through our daily lives, our shades of blue will vary from darkest blue to lightest powder blue. All we can do is to hang on tight to those we love during the darkest blues, and hang on tight to those we love during the lightest powder blue times too, because it is the ones we love who will help us through, and it’s the ones we love who make life worth living in the first place. While my mom has been in Heaven now for five months, and my dad and father-in-law even longer, I know they are happy…so how can I be blue for them? My shades of blue are for me alone.